Another article regarding Real Estate investing was added to this website not long ago and the argument by the Author was that Real Estate REITS were a better approach to investing in Real Estate as opposed to someone purchasing a rental property and managing that property for rental income. This article is a follow up to that first piece and the author is claiming that most hands on Real Estate investors are basically underestimating their true costs and overestimating their real ROI. Here is the original article. You be the judge. In a recent article entitled “A Warning to Rental Investors,” I explain that investors are often misled into thinking that rentals are low-risk/high-return investments with great passive income. They require a lot of time and effort. They often become very risky due to overleverage. They are concentrated, illiquid investments with managerial difficulties. Everybody wants to be their own “real estate tycoon” and build a real estate empire, but the reality of the job and the risks involved are not suited to most people. Therefore, I made the argument that ” most” real estate investors should forget about rentals and invest in publicly-traded REITs instead. 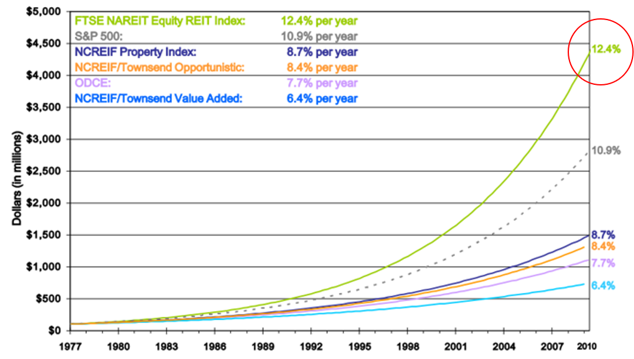 REITs have historically outperformed private real estate by up to 4% per years thanks to their economies of scale and superior access to capital markets. REITs are well-diversified, conservatively financed, professionally managed and liquid – mitigating investment risk. Most importantly, they are “passive” investments paying high income to investors. You do not need to lift a finger to earn dividends and you won’t have to deal with tenants, toilets and trash. Despite all this evidence in favor of REITs, many rental investors were still not convinced. I received many comments from furious rental investors who portrayed me as a “REIT Sales Man” looking to bash on rentals just to sell subscriptions to my REIT investment newsletter – High Yield Landlord. I cannot deny that there’s a conflict of interest, but I find it a bit too convenient for rental investors to simply use this as an excuse to refute all my opinions. 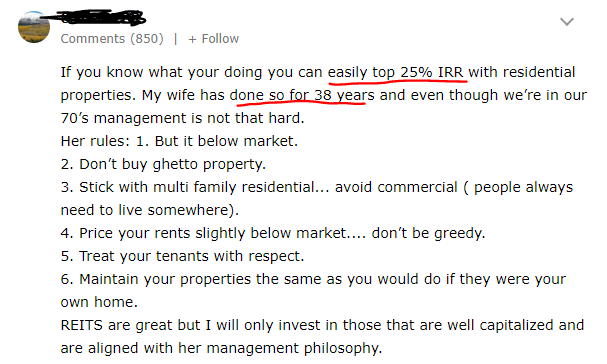 The truth is that I used to be a rental investor myself before I discovered about REITs. I bought it back in 2013 for about $50,000 and the market rent at the time was about $500 per month. Not bad, right? I financed a big portion of it with a low interest rate mortgage from a French bank where I had good connections. Three years later, I sold the property for a slight profit, paid off the loan, and reinvested the proceeds into my growing REIT portfolio. This also is the time when I moved to Dallas, Texas, to work for a private equity real estate firm managing about $200 million worth of private real estate investments, including a portfolio of traditional rental properties. I directly contributed to many multi-million-dollar property investments, some good, some bad, and while I won’t pretend to have seen it all, I can confidently say that I gained a good understanding of private real estate investments and how they compare to REITs as a whole. In this part 2 article, I want to address one misleading claim that many rental investors made in the comment section of the part 1 article. How many of you did the following quick calculation for my rental investment? = get to approximately 20-25% IRR – Looks like an awesome investment. It is far from being that simple. There are a lot of costs involved in buying a property and then later managing it. Property transaction costs generally range somewhere between 5%-10%. This means that on day one of my investment, I lost about 10% of my money. Ouch! Then out of the $500 monthly rent, you need to build reserves for future maintenance cost (expensive! ), operating expenses, taxes, vacancy, and future closing costs of the eventual disposition. I save you the details of the calculation, but you would be happy to retain about $300 net of these expenses. Then after that, you need to account for all the time that you invest in managing the property, worrying about problems with tenants, analyzing the market and so on. Assuming that you spend five hours a month and value this time at just $20 per hour, you are left with $200 of net monthly income (before income tax) from this investment. Is this return enough to justify the risk of making an illiquid, concentrated, leveraged property investment that requires time, efforts, and worrying? Mathematically that’s not possible. 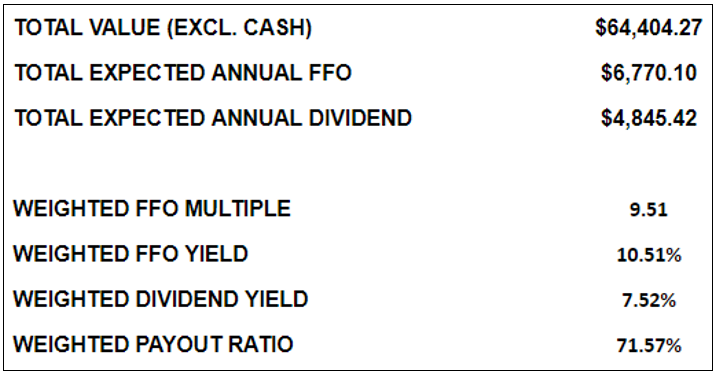 Just $100k invested at 25% over 38 years results in close to $500 million. This is if you only invest $100k invested and never make any additions. Not even Warren Buffett matched this performance. He became the richest man on earth by compounding at about 20% per year. So supposedly all these landlords must be richer than Warren Buffett! The more concerning part is that this comment received 44 likes. I believe that this a perfect example of how rental investors constantly overestimate their returns while not factoring in all costs. 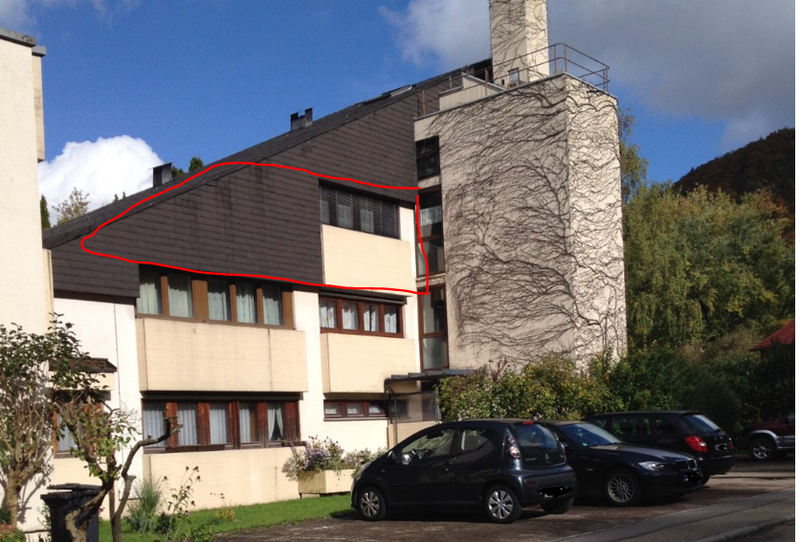 My first rental investment was by no means perfect, far from it. But it does give you an idea of how rental investors are quick to underestimate their expenses and overestimate their returns. For me, my rentals were a fantastic investment, not really financially, but from an educational standpoint. 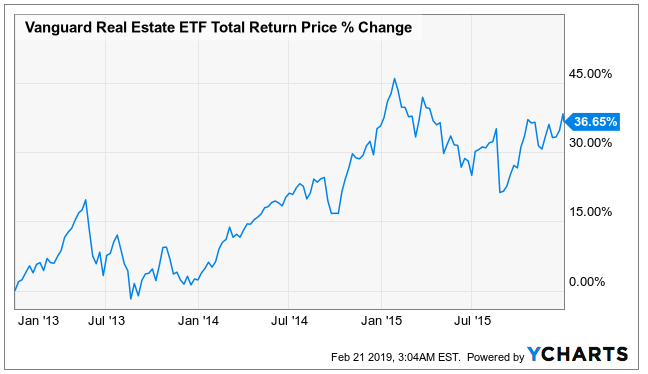 I learned that all the hassle that comes with them simply isn’t worth it when you could do just as well (if not even better) by simply investing in publicly-traded REITs. 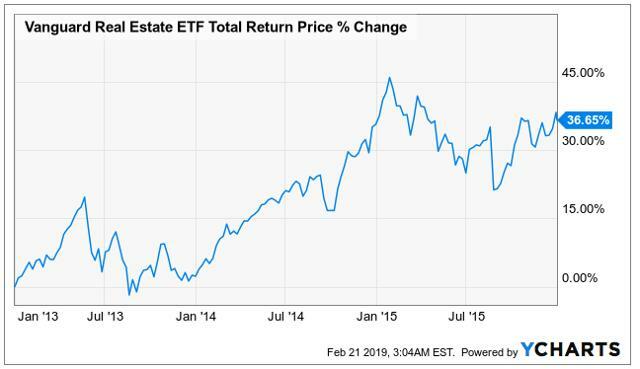 REIT total returns have historically been 12% per year on average, and certain active REIT investors have managed to get closer to 15%-20% by hand-picking undervalued REIT investments. You do not have to deal with tenants, toilets and trash. You won’t get sued or threatened. You won’t have sleepless nights due to calls from tenants. You won’t need to deal with constant worries about the maintenance of your property and the development of the local market. You will have not have any liability or illiquidity risk. Essentially you get to combine the benefits of stocks: In liquidity, low transaction cost and no managerial work with the benefits of real estate: In higher total returns, high and stable cash flow and inflation protection. We like to say that managing rentals is a huge hassle, but in full disclosure, analyzing REITs is no walk in the park either. It requires specialist skills that are not widely available, and there’s a strong need for professional research to sort out the worthwhile from the wobbly.